Payoneer is a financial services company that provides online money transfer and digital payment services. Account holders can send and receive funds into their bank account. Companies like Airbnb, Amazon, Google, and Upwork use Payoneer to send mass payouts around the world. It is also used by eCommerce marketplaces such as Envato and works with ad networks to connect these firms with publishers based outside of their headquartered country. Now whether you are a business owner, professional or freelancer, Payoneer offers you multiple ways to get paid online by your international clients and global marketplaces. Even now you can withdraw Google Adsense money to your Payoneer account and receive the Adsense revenue in your own country. Step 1. Login to your Payoneer account. Step 2. Tab Global Payment Service from your account. The Global Payment Service provides you with access to several international receiving accounts, through which you can request payment. Step 3. From the online services present on Global Payment Service select the country service where your Adsense account was approved from. 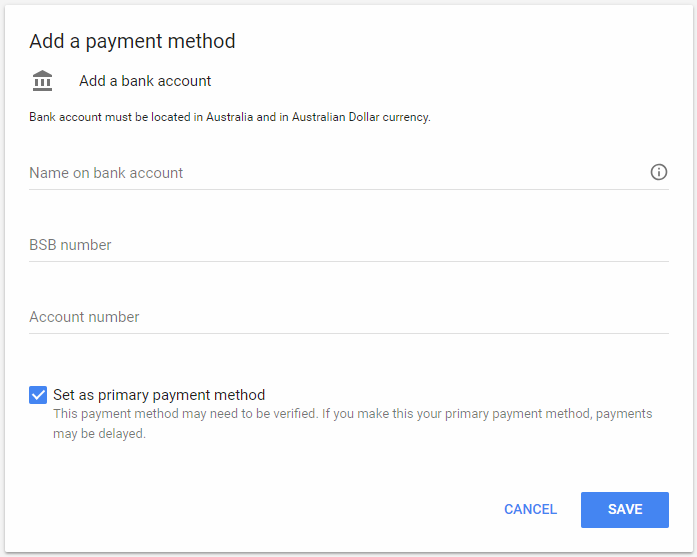 My AdSense account was approved from Australia, so I selected AUD and requested an AUD receiving account to accept payments from Australian companies. Step 4. Login to your Google Adsense account. Step 5. 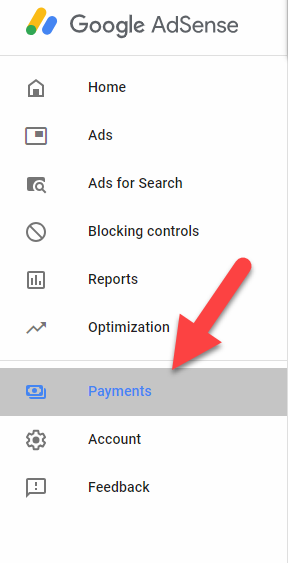 From Google Adsense menu tab on Payments option. Step 6. Click on Add Payment Method. Step 7. Type the information from your Payoneer account. Fill in the form with accurate information from your Payoneer account. Remember to copy the bank name from Payoneer and past it in the Name on the bank account and type BSB number and Account number then click the Save button. 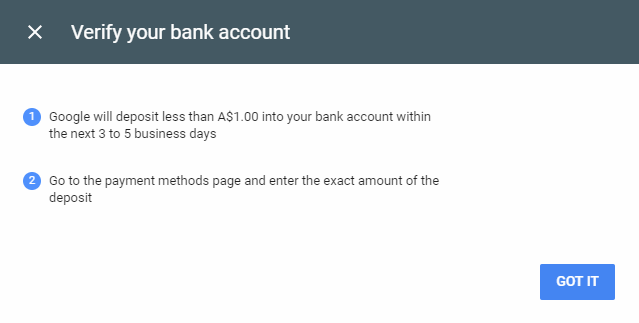 To verify your bank account Google will deposit less than A$1.00 to your bank account within 2 or 3 business day. 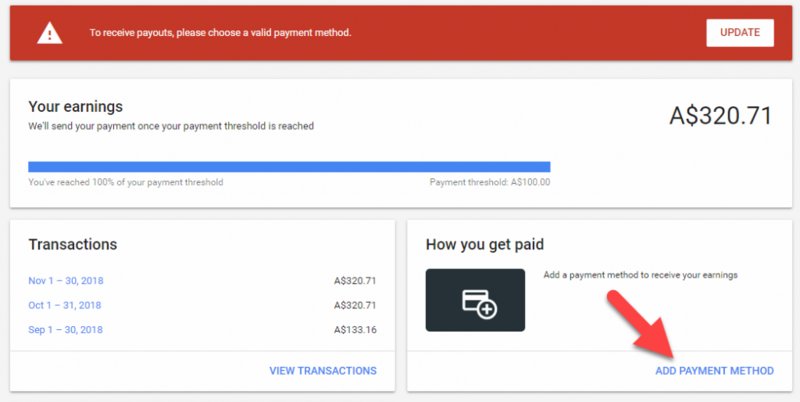 Review your bank account transactions for a small test deposit from Google and then enter the amount in Google Adsense. 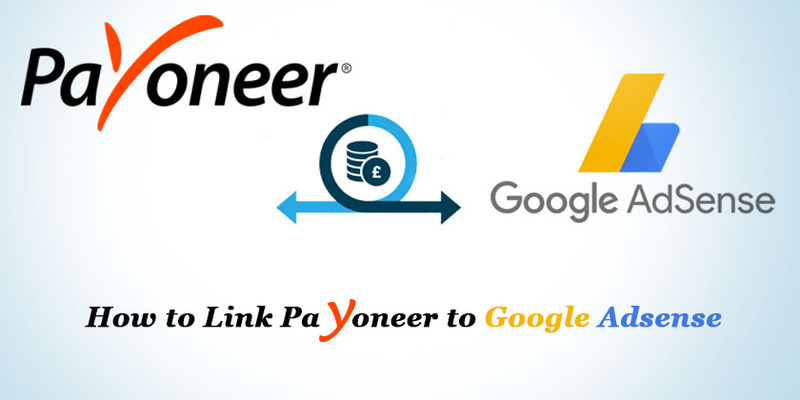 When your bank account is approved by Google, then you will be paid your Adsense revenue through Payoneer every month. 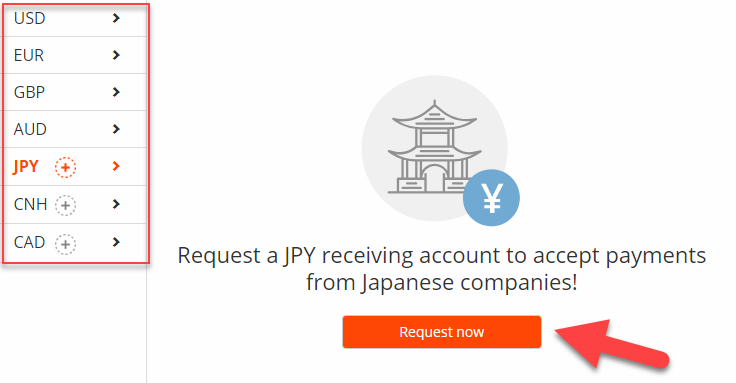 If your account is approved from different locations: (JPY, CNH, CAD) simply tab on it and click Request Now. Mark the currencies you’d like to get paid in. From the options present in marketplaces select other. Type Google Adsense in the blank. 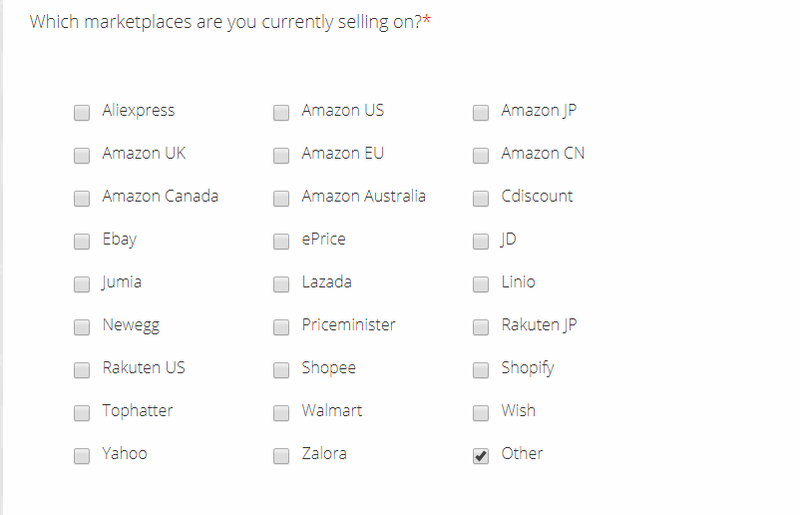 Select I am not selling on marketplaces and click Apply Now button. This way you can simply request a payment using the Payoneer platform. Your request will be reviewed within 1 or 2 business day then you will be provided the information like Bank Name, Branch Code, Account Number, and Beneficiary Name. Then simply give this information to Google Adsense and get paid as shown in the instruction above. If Your service location where your Adsense account is approved from is not present in Global Payment Service page, then ask the Payoneer support team to help you in making it. Was the article helpful? Please feel free to write any error you face in the process and share your feedback using the comment section below. Can you confirm adsense au work with payoneer? 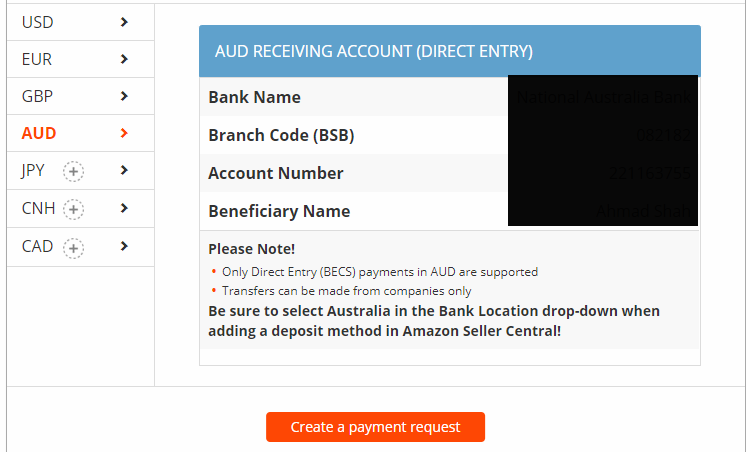 I have a Payoneer account connected with Adsense which is approved from AUS and is working properly. You just need to follow the instruction from the article and proceed with your job. If you face any error, please put a comment. 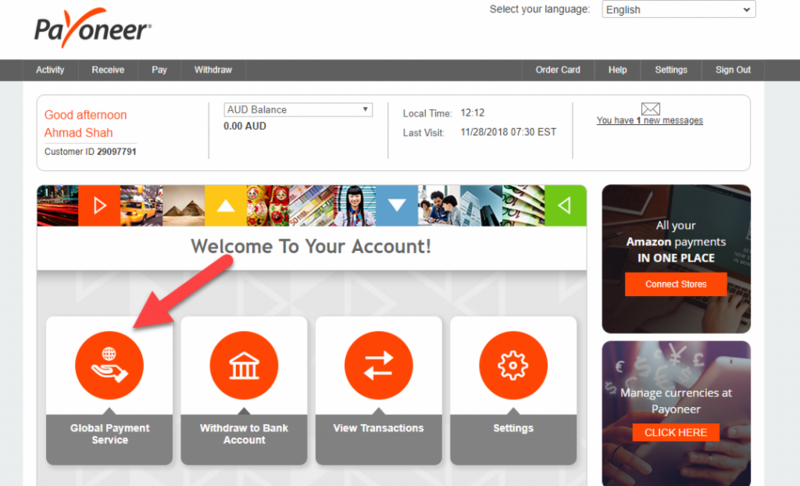 can i use my newly opened payoneer account, (no mastercard & verification yet) to receive the payment from my us adsense. You can receive your Adsense payment when it’s connected with your Payoneer. No Mastercard needed.